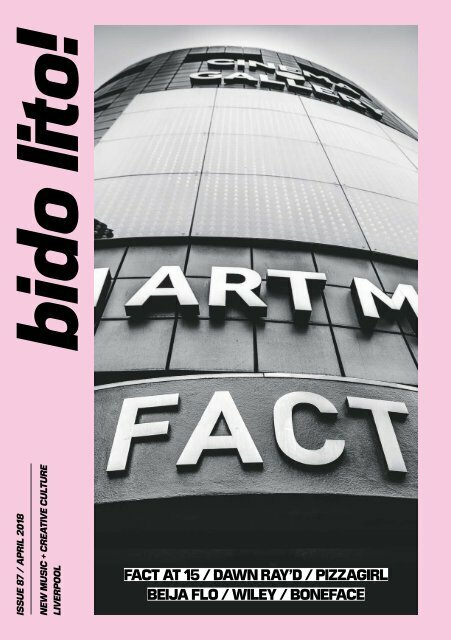 April 2018 issue of Bido Lito! magazine. Featuring: FACT AT 15, BEIJA FLO, DAWN RAY'D, BONEFACE, PIZZAGIRL, WILEY, PUBLIC SERVICE BROADCASTING and much more.